I have been working on getting a few more of these cards made up. Check out the first set here. I cut up the first sheet of paper by cutting out all the large floral elements on the sheet. 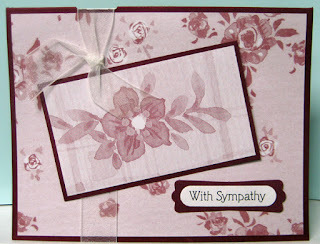 I layered them all onto deep maroon cardstock to create my focal elements. 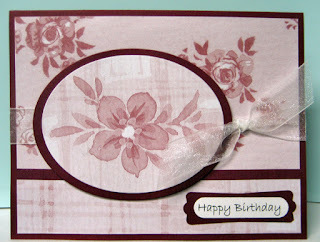 For the top card I used an oval focal element which was created using Nestibilities. 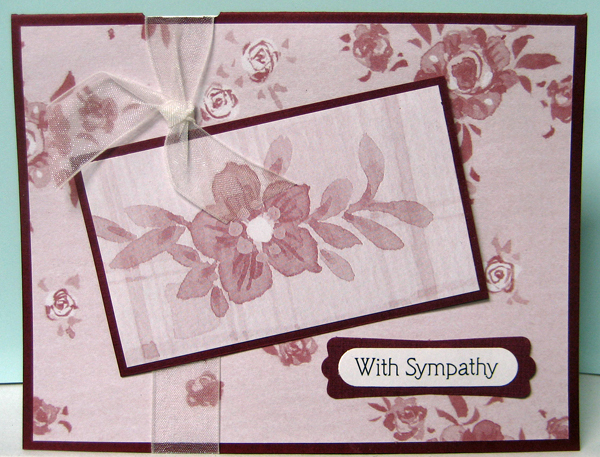 I added a single layer on the maroon card front and stamped a greeting. Unfortunately, it was the wrong colour and crooked so I trimmed off the bottom edge of the paper and replaced it with a piece from the original sheet and added a strip of maroon cardstock over the joint. I added an organza ribbon with a simulate bow and then mounted my oval focal element over it using 3D foam tape. I added a layered punchie greeting on the lower right hand corner. 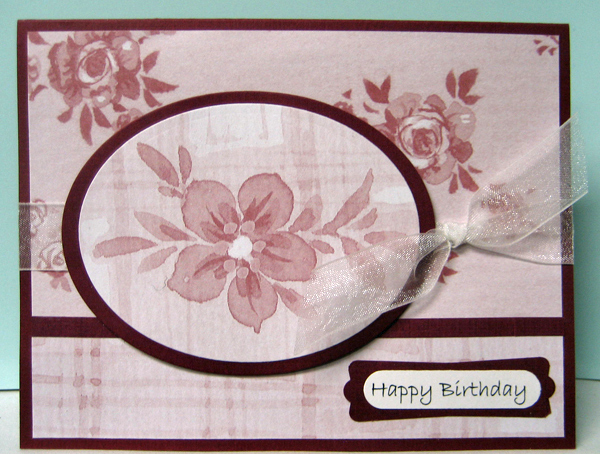 For the second card I used the same background paper and added organza ribbon as well. I punched a slot in the spine of the card so I could insert the end of my ribbon and glued the end to the inside front of my card with double sided tape. Tied on a short piece to simulate a bow on this one as well. Added my rectangular focal element over the ribbon using 3D foam tape and adhered the layered punchie greeting using double sided tape. It has been a fun challenge to create cards with this set of papers.